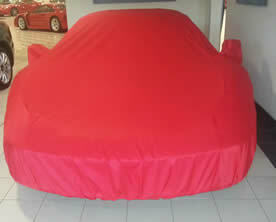 Since 2003 we have offered a range of standard fit and custom made indoor car covers to suit every car. Our comprehensive models database is accessible on our home page plus our single marque pages, which show the options available, though our Soft Stretch Indoor Covers have their own separate database. You can order directly from the database, from the single marque or cover pages, or on the telephone if you'd prefer that route, or need some advice. Soft indoor covers protect from dust and scuffs. They are made of a heavyweight light blue poly-cotton which is brushed twice during the manufacturing process to ensure the inside of the cover is soft. External Scotchguard treatment protects the car and cover against drips of water. The covers have protected zips on both sides for access to the doors, and elastic front and rear to pull the cover tight to the bodywork. They are 'car shaped' and available in various sizes to suit ANY car. Very soft, dustproof, fleecy inner surface plus an outer sheen make these covers a very good choice. They will stretch to cover most cars and accentuate their curves, and are also perfect for angular or awkward shaped classics too. For ease of use, they will stretch round mirrors, folded back or left out and are machine washable. They will easily pack into the carry bag supplied. Choose from Red, Navy Blue, Black or Silver/grey. From £99.00. We are the leading UK specialists in provision of car covers for your Ferrari, with our company owners' long association with the marque and work within the FOC. We can therefore advise you on the most appropriate cover to protect your valuable Italian thoroughbred, especially as the OEM covers are no longer available. 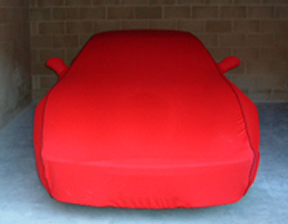 Our custom made offering of indoor Peachskin fabrics was developed for covering Ferraris, with thicker, fleecy lined covers always popular and available for every tipo. Many colours are available. Our Soft Stretch covers are the closest to the covers originally supplied by the Factory. We also offer genuinely custom made fully Waterproof outdoor covers which are sold worldwide (we will ship ANY cover worldwide), again in various colours. Our standard covers range (Soft Indoor, Soft Stretch, Standard Breathable, Protector-4 and Waterproof & Breathable covers) are also listed in our database. If you are at all unsure which cover suits your Ferrari cover needs, Mark will be delighted to talk with you. Or check out our Ferrari covers page for more details and pictures. The same applies to Porsche too - our MD also owns a 944Turbo, having done the 911 thing too! 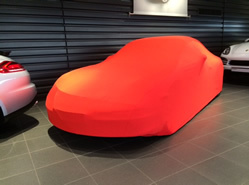 So we're are ideally skilled to advise you on the most approriate car cover for any Porsche. We offer 2 types of standard fit breathable outdoor covers, which can also be used indoors and on cabriolets. These covers are ideal for cars in daily use as the cover can be put on a wet car. They are c.95% waterproof with welded seams and made from either a 3-layer or 4 layer breathable bonded fabric that naturally resists rot and mildew. They are silver coloured to reflect UV and keep the car cool. The new Protector-4 breathable 4-layer outdoor car covers have an additional layer of soft fleecy lining to protect your paintwork. There are adjustable buckle straps supplied to tie the cover down. Waterproof & Breathable covers are made from a soft, stretchy wetsuit-type fabric and provide the best of both worlds - breathability and water repellancy. Any breathable cover can also be used indoors. We recommend Breathable covers for cars which are used occasionally or regularly, which may be wet when a cover is applied, as moisture will evaporate out and not penetrate the cover except under heavy storm conditions.Supplied in a neat breathable storage bag. Outdoor Custom Waterproof, and Indoor Custom and Peachskin covers can be made for your individual car from the thousands of patterns our tailors have access to. Custom Peachskin covers are made from a lighter, hi-tech hiking fabric which has a furry inner layer and are available for an expanding range of cars in a variety of colours. Each cover is hand made to order in about 1 week in the UK. They have pockets for mirrors and spoilers, are supplied in a bag, and are dust proof and domestic machine washable. Prices are roughly half of the above. Shipped worldwide. If you need to transport your vehicle on a trailer or behind a motorhome we recommend you add a Cargo Net to tie down over the cover on your trailer, which will stop it ballooning, as a cover fills with air at speed, ripping a cover into shreds. Without it cover life is approx. 5 miles based on experience. Our Cargo Nets are 5m x 4m, made of strong 10cm mesh net finished at the edges with cord. You can bungee the net down easily. Weatherproof and rot proof. These are £59 each. 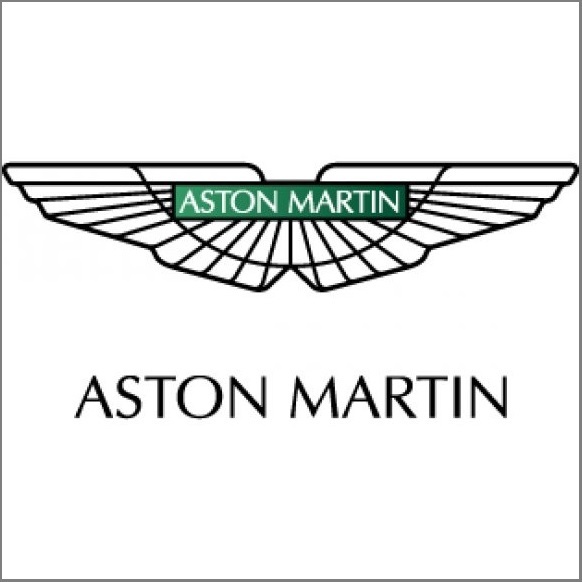 Club or maker's logo can be incorporated (though not recommended for Breathable covers as slight leakage may occur and anonimity may be preferred if the car is viewable from the road).